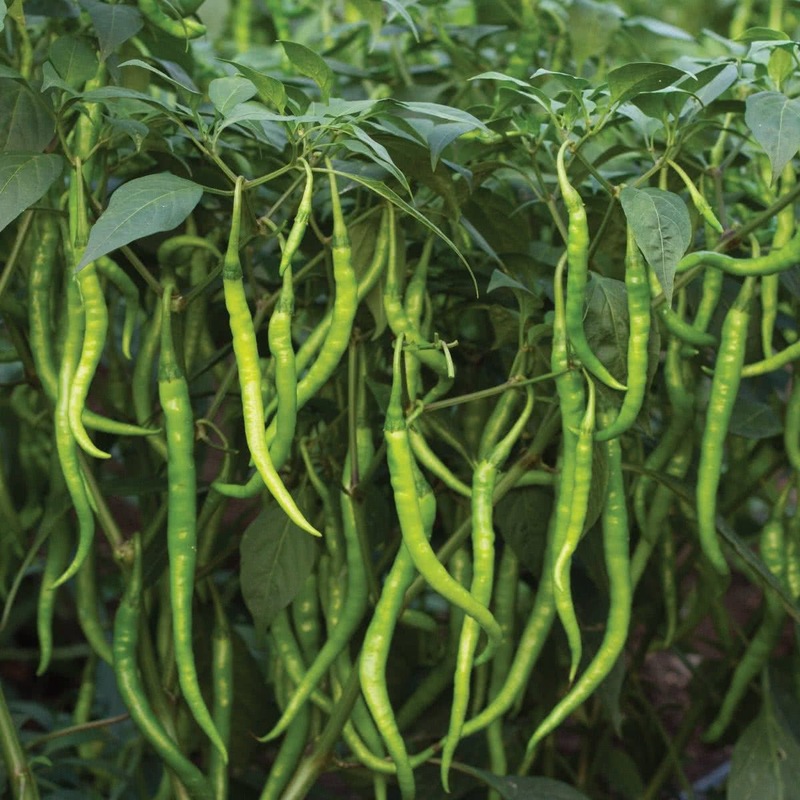 Green chillies can be grown anywhere, but requires warm tropical climate. Best is to keep the plants indoor or in a greenhouse. Plants can grow up to 60 cm in height and features unique chemical compound that keeps it away from pest. Introduction and Uses: This little wonder is a power packed spice that is cherished in Indian cuisines. Rich in antioxidants, it is zero calories, protects against cancer, lower body temperature, provides an aid against cardiovascular disease. Its beta-carotene content makes it ideal for eyes and immune system. Growing container: Seedling trays/ seed cups/ small polybags/ Seed bed. Hold the Chilli seeds and sow 2-3 seeds per cell/cup. Since the seeds are small in size, do not sow them deep. Just put the seeds on the surface of the medium & push each seed a little inside the medium by using pencil tip, so that seeds are not visible on the surface anymore & cover it with more coco-peat. Or make small, shallow depressions on medium with pencil bottom. Put the seed on that depression & sprinkle more coco-peat on the top to cover the seed. Water the seed cells with a spoon in the first week. Provide two tablespoons of water every day. Or keep the seed tray in another tray full of water for half an hour so that the water will be absorbed by the seed cells from the bottom, via drainage holes. If seed beds are made outdoors, protect them from heavy rain or direct sunlight. Use well sieved fine soil as a sowing medium & make a nice raised bed from it. Cover the bed by making a temporary roof of a plastic sheet. Water it in the form of a light shower using a watering can. Sprouting Stage:Seeds will germinate within first 6-8 days & tiny sprouts will be visible. Once seeds germinate, put the tray on an open partially sunny spot near the window. Don’t cover the tray anymore. Seedling stage: Second week onwards, seedlings will start growing into a small plant. At this stage exposé the seedlings to more & more sunlight for leaf growth. Transplantation: 30 to 35 days after the seed sowing, your seedlings will be ready to transplant in container pots or raised beds. Choose a container with a minimum depth of 8 inches & bigger spread area (according to available space & your requirement) like big Trays or crates. 1 part garden soil, 1 part coco-peat & 1 part Vermicompost. Transplant the seedling along with root ball of a medium, without disturbing its roots. Spacing: Plant the seedlings minimum 2 feet apart (60x60 cm), from each other on raised beds or in a container. Sunlight: Chilli grows well under full sunlight in winter. So place your containers accordingly. Top Dressing: Apply balanced liquid fertilizer or handful of vermicompost to each plant, every 15 days after transplantation. Plant care: Always look for the early signs of any insect/fungal/ any other infections. Spray appropriate medicines as soon as any symptoms of such diseases are spotted. Watch out for snails & slugs. Microgreens: If you plan to grow microgreens Broccoli, grow it indoors in flat containers. Sow-scatter the seeds in a crowded manner. You can harvest it in 10-15 days by uprooting baby plants. Harvesting: (First harvest: 10 - 12 weeks) Chilli plant will start flowering at the end of 3rd month, chillies can be harvested 70 to 80 days from the sowing of seeds. If proper care is taken, Chilli plant will continue to grow & produce chillies for 3 years as well. Approx. 100 to 112 Seeds in 500 mg, 5063 to 5625 Seeds in 25 gm, 20250 to 22500 Seeds in 100 gm, 50630 to 56250 Seeds in 250 gm. 70 to 90 Qtl / Ha. 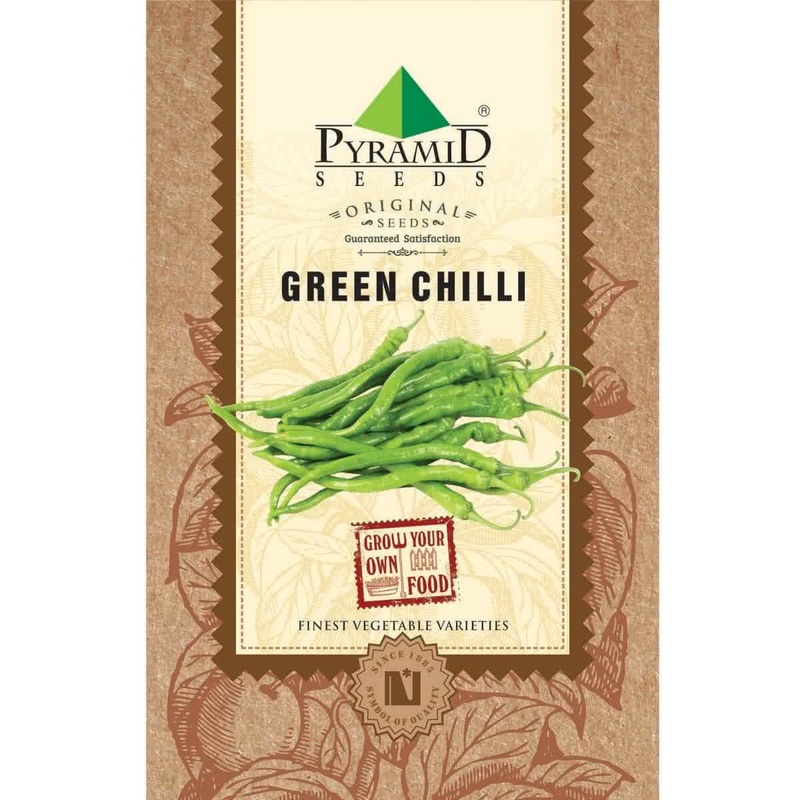 Nice products... very nice chilli seeds. germination rate was high. Service was good. chilli have grown nicely in my garden. all seeds are germinated, chillis are long, good service Ugaoo.